What happens when the body rejects a protein found in many foods? Ask anyone with celiac disease. This increasingly common condition—it’s grown four-fold since the 1950s—causes a host of aggravating and potentially disabling symptoms such as gas, bloating, diarrhea, cramps, fatigue, weight loss, and more. But it’s also a trickster, causing subtle changes that may not be identified as stemming from celiac disease. Take the case of a 22-year-old woman described in today’s New England Journal of Medicine. She ended up in an emergency room after breaking her wrist while playing volleyball. Fix the fracture and send her home? Not so fast. Blood tests showed that she was anemic and had low levels of iron and vitamin D—which were unusual to see in an otherwise healthy woman. A subsequent blood test showed that her body was making antibodies against tissue transglutaminase, a naturally occurring enzyme in our bodies. That’s the hallmark of celiac disease, caused by the body’s harmful reaction to gluten, a protein in wheat, barley, and rye. Historically, it took an average of 10 years or more from the onset of symptoms to a diagnosis of celiac disease. That’s because the symptoms look like more common problems, such as irritable bowel syndrome. Celiac disease also hasn’t been on many doctors’ radar screens. That’s changing. Celiac disease is emerging from the shadows, thanks in part to greater attention in the media and the $7 billion market (and advertising) for gluten-free foods. Equally important, a simple blood test for anti-tissue transglutaminase antibodies now makes it relatively easy to tell whether or not a person has celiac disease. A biopsy of the intestine confirms the diagnosis. The treatment for celiac disease—stop eating gluten—sounds simple, but isn’t easy. It means forgoing anything made from wheat, barley, and rye. Even a small amount of the protein can stir up trouble. A University of Maryland study showed that just 50 milligrams (mg) of gluten—a slice of wheat bread contains 2,000 mg—was enough to rev up inflammation and intestinal damage. “It’s the hidden gluten that can really bedevil people with celiac disease,” says Dr. Kelly, who is also a professor of medicine at Harvard Medical School. That means gluten lurking in foods that shouldn’t have any. Take soy flour as an example. It shouldn’t contain gluten. But if soybeans are transported in a truck or rail car that had previously held wheat, barley, or rye, or processed in a warehouse or plant that handles these grains, the soybeans and foods made from them can pick up enough gluten to fuel celiac disease. The FDA is currently working on regulations that will specify the maximum amount of gluten a food can contain and still be considered gluten free. But this won’t do anything about contamination of truly gluten-free foods. As many as half of people who buy gluten-free products don’t have a clear cut or proven reaction to gluten. Instead, they go gluten free because they think they are sensitive to gluten, or it makes them feel better to avoid it. If you choose to avoid gluten, it’s worth getting checked for celiac disease first for two reasons. One is that treatment for celiac disease is usually more involved and intensive than treatment for non-celiac gluten sensitivity. The second reason, explains Dr. Kelly, is that if you’ve been off gluten for a while, it becomes very difficult to establish if you do or don’t have celiac disease versus gluten sensitivity. 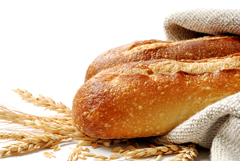 If you suspect you might have celiac, do not eliminate gluten before the tests are completed. I got tested without even seeing a doctor. Ordered the test online, went to Labcorp and got back the results in my email. As a doctor I find it alarming that coeliac disease is so undiagnosed. To Saheed Saka: celiac disease is a worldwide problem. “While the overall prevalence of coeliac disease is thought to be around 1 per cent in the West, there are variations among nations – for example, 2 per cent in Finland and 2.5 per cent in Mexico. Several studies show that the prevalence of coeliac disease has increased five-fold, from 0.2 per cent, in the past 35 years, and that it continues to rise, especially among the elderly…One US study showed that the incidence could be increased up to 30 or 40 times with intensive case-finding. Nevertheless, this is not enough. Several Italian studies have shown that no matter how intensive the case-finding, you can never reach the expected 1 per cent prevalence, and usually attain only 0.5 per cent. This has been proposed by some as a strong argument for mass screening, although this has ethical ramifications. The anti-endomysial (EMA) test looks for antibodies against tissue called endomysium, which joins cells together. It is usually used as an additional test when the results of the tTG test are borderline or uncertain, although it is more expensive and difficult for medical teams to perform. When coeliac disease is present, it correctly confirms a positive diagnosis in 95 per cent of cases. When coeliac disease is absent, it correctly confirms a negative diagnosis 99 per cent of the time. It is more specific and more sensitive than the the tissue transglutaminase test. please excuse my UK spelling of celiac! Please post the name of the test used to detect celiac- are you referring to the tTg-IgA? Most doctors still use IgA and IgG only to indicate Celiac, which they fail to do consistently and decisively. Is this confined to the U.S or are there reported cases elsewhere in the world?This is because I -and presumably- most probably a greater Nigerian percentage as well as greater percentage of the continent might be hearing of celiac disease for the first time ever. Great post with information regarding vitamin D deficiency.